People often wonder how to choose the right builder for their new home or home remodeling project. The best advice we have comes directly from our very own expert. This clip from the Today’s Builder TV Show features Scott Lowell discussing the qualities that make his company so highly sought-after and respected. We created this Top 10 list to summarize the qualities you should look for when hiring a builder. 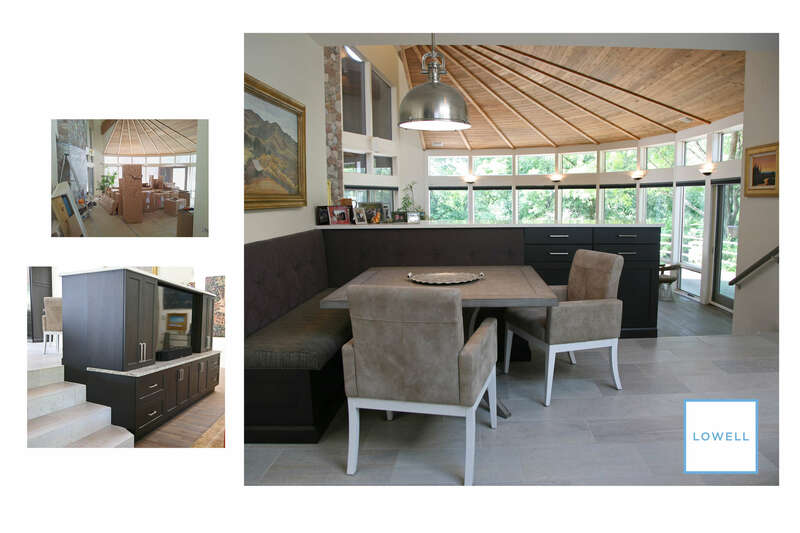 Experience – Nothing surpasses experience and longevity in the custom home industry. A builder must have a strong character built on the reputation of the experts within the company. Meet our experts right here. 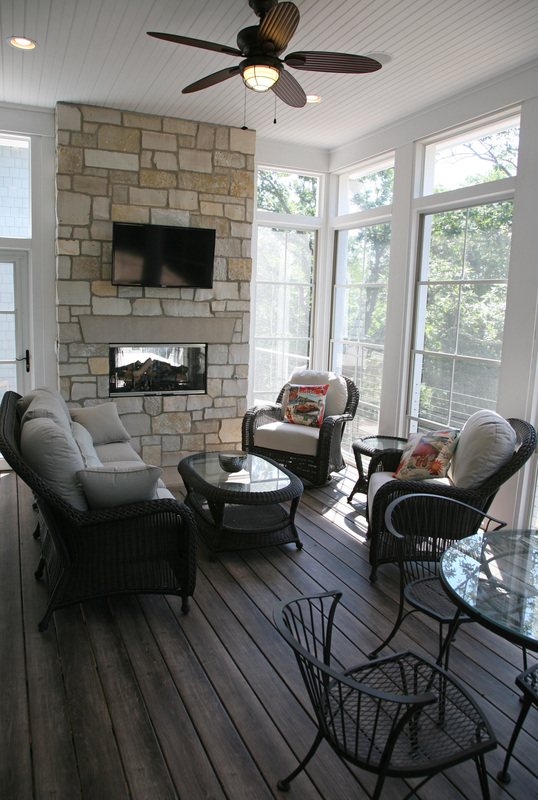 Quality – High quality materials should be the standard for a custom home project. The infrastructure in a home is just as critical as the components that can be seen. This delivers a home that is solid, serenely quiet and finely detailed. Responsiveness – The best builder is more than a good listener, he is a responsive innovator. The process of designing and building the perfect home requires an ongoing exchange between builder and homeowner in order to deliver a home that is truly distinctive. Empowered Customer Experience – A fully transparent system allows homeowners to be comfortable with the process from day one. A builder should document every aspect of the project and its progress so the homeowners can have a clear understanding of every nuance. This results is happy customers like these and these! Clear Communication – The right builder will have a designated point-person to establish a direct line of communication for the homeowner. At Lowell this is the Project Superintendent who is always available to update and respond promptly to questions and concerns. Without a doubt there will be unexpected circumstances that arise during any construction project, but a good builder will keep you informed and have them resolved without delay. Established Timelines – A timeline for construction should be established before the project even begins and include a secure delivery date for the convenience of the homeowners. Common delays are avoidable when the builder has an in-house team that includes an architect, office staff and reliable contractors who are meticulous about staying on track throughout the construction process. Established Budgets – A good builder will have an accurate budget that has been approved by the homeowner. The building process should include flexibility for some changes, but the builder must have a documented system where homeowners can approve variations. There should be no surprises. Value Engineered – It is a balancing act to deliver the best value with uncompromising quality. You want your home to have every feature on your wish list, and an experienced builder will help you prioritize and allocate funds in order to deliver the perfectly customized home. A Home Warranty – A quality builder will have a comprehensive home warranty that delivers complete peace of mind to the homeowner. Lowell Custom Homes is known for their exceptional commitment to the care of every home. Even after homeowners have moved in, the Lowell team never walks away. They even provide a warranty for the next owners if the home is ever sold. Ongoing Relationships – A sure sign of a quality builder is when customers remain enthusiastic about their homes long after it has been completed. You can read about what Lowell customers have to say right here! At Lowell Custom Homes we treat our clients like family. It’s the reason generation after generation turns to Lowell when it’s time to build a home of their very own. What it’s like to be a Lowell Homeowner! The one thing that makes every day more memorable is the people you encounter along the way. 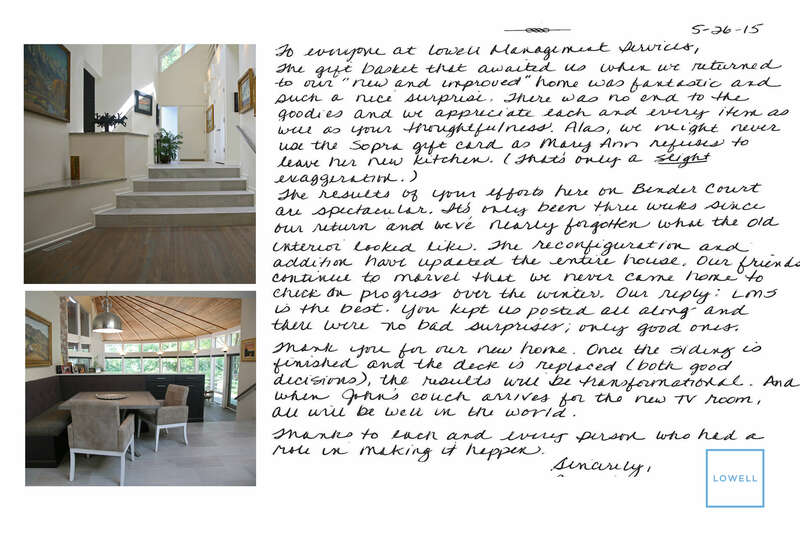 We have had the honor of working with the most delightful clients over the years. While our slogan is “Building Memories You Can Come Home To” we are building memories of our own as we get to know and enjoy our homeowners throughout the building process. If you wonder what it would be like to build with Lowell Custom Homes, just listen as our homeowners share their experience! Thank you to all of our homeowners for becoming part of the Lowell family! https://www.lowellcustomhomes.com/wp-content/uploads/2018/05/Screen-Shot-2018-08-29-at-11.06.37-AM.png 448 855 Lowell Custom Homes /wp-content/uploads/2018/02/lowell-custom-homes-logo-250.png Lowell Custom Homes2018-05-03 16:23:032018-08-29 11:40:25What it's like to be a Lowell Homeowner! Every cloud of dust has a grubby lining. That is why alleviating dust on every one of our home projects is a top priority at Lowell. We use the most advanced system in the industry, BuildClean, to trap and contain dust, and then virtually eliminate it. This system removes dust particles that result from common construction activities, like demolition, drywall and sanding. We actually trap the dust within the work area and then “scrub” the air. This maintains a high quality of indoor air and prevents construction dust from lingering. Dust isn’t just a nuisance; it can have adverse effects on the health of your family and pets. Particles can trigger asthma attacks, allergic reactions and problems for people with chronic obstructive pulmonary disease (COPD). Lowell will not allow any of these potentially harmful particles to settle and be sealed into the walls and crevices of your home. Maintaining a high standard of air quality is even more critical on remodeling projects. About 90% of homeowners stay in their homes during construction. Using this BuildClean system provides a “livable remodeling” environment with quiet and continuous highly efficient air filtration. On an average day most rooms will contain 30,000 to 50,000 particles of dust larger than .05 microns. Remodeling activities can increase that to 700,000. Within 30 minutes of running our air scrubber the particles return to the normal 30,000 level. In one hour it is even lower at 16,000 particles. Also, since the dust is contained within the work area for scrubbing, potentially harmful particles are never released into the environment. It is part of the good neighbor policy we establish on every construction site. Before & After photos are wonderful, but we also believe in sharing our “During” photos. You can follow the complete construction process for all of our projects by clicking here: Lowell Construction Process Gallery. This gallery will show your how we manage every detail of construction on every Lowell home. Building or remodeling a home is one of life’s most rewarding experiences. The more you know about the process, the more you will enjoy the journey. This overview will walk you through the home building stages, step-by-step, with images from one of our stunning new homes. Then visit the LOWELL Process Page to view more of our homes in various stages of construction. So much work is going on behind the scenes before construction even begins. This is the time to gather a team of experts to help you address your wish list in a way that supports well-informed decisions. The in-house team at Lowell has an AIA architect, interior designer, project manager and full supportive staff on hand to guide homeowners through the entire process. Clearing growth, rocks and debris from the lot allows the building site to be properly leveled and excavated. Utilities will be run to the home site at this time. Foundation footings are formed and poured, followed by the foundation walls. Once concrete is cured, waterproofing is applied, and drains are installed. Sewer and water will be tapped before the basement or first floor slab is poured. Walls, floor and roof systems are constructed to form a shell for the home. Sheathing is used to cover the exterior walls and roof. A moisture shielding house wrap is used to form a protective barrier. Exterior windows and doors are installed allowing for interior work to begin. This is the first opportunity to actually experience the size and shape of each new room. With the protective shell complete, a schedule is masterminded. Multiple trades people will operate simultaneously to build the inner workings of each home. Undercover mechanical systems are installed for electric, plumbing, heating and air conditioning. Computer and entertainment networks, security systems and smart home wiring are placed at this time. Insulation is installed on exterior walls, attics, basements and crawl spaces to maximize the thermal performance (R-value) of each home. Once the rough-in of plumbing and electric is complete, drywall is hung and seams are taped and sanded. A prime coat of paint is applied to walls. While the interior developments, the exterior materials and finishes are installed to further protect and define the structure. Stone, masonry, shingles, siding and trim work all add to the architectural details that give a home its unique identity. Hardwood and hard surface flooring is now installed. Trim, moldings, interior doors and custom millwork will be completed. Specialty finishes and the final paint selections are applied. HVAC equipment and electrical systems are completed. Cabinetry, plumbing fixtures, and tile will be installed and connected. Shower doors, lighting and switches are placed, and trim details are applied. All of the beautiful decisions made before construction are now apparent as you see the finishing touches installed in each room. Lighting, hardware and millwork are finalized to complete the vision. This is the day everyone looks forward to! Lowell conducts ongoing inspections throughout the construction process while working with building code officials. Every home will meet and exceed all of the health and safety codes. The final walkthrough is an opportunity for us to explain the operation and maintenance features throughout the home. Any minor items in need of attention are placed on a Punch List to be completed a.s.a.p. We invite you to a drones-eye-view of one of our latest homes. Just click here. Summary of the Building Process for New Homes or Remodeling Projects. Should You Build? How to decide if building a new home is right for you. There may come a time when you look around your house and start to think about breaking up. As any good Cosmo article will confirm, once you outgrow a relationship there is no long-term potential. So, how do you know if it’s time to move on? The biggest advantage to building a new home is getting exactly what you want. This is your dream, your way. It doesn’t matter if most homes have a 3-car garage, you can have as many as you want. When you build you choose the right size, the perfect floor plan and then fill it with features that are meaningful to you. You are able to fully express your style with architectural details, cabinetry, flooring, finish colors and all of the other dreams from your wish list. No compromise needed, when building a new home you can design every aspect. Eliminate the Formal Dining Room, add a Pool House, Outdoor Kitchen, or 2nd Master Suite, it is all about you! Your unique preferences for comforts, like counter height or lighting, will be built-in. Universal Design features can even be incorporated allowing you to enjoy your home for years to come. Building instead of remodeling offers a fresh start with major efficiencies in scheduling and purchasing. The problems with retrofitting an older structure are eliminated and the latest smart home technology integrated. Building allows you to balance your spending priority features, like a gourmet kitchen, with saving opportunities for low profile areas. When you are working with a custom builder like Lowell Management, you witness firsthand the level of quality and craftsmanship going into your home. All components of your home are new and finely tuned to provide years of comfort before you need to think about replacements. State of the art systems, with innovative technology, meet and exceed the latest codes for energy efficiency. Our HVAC, insulation, and windows are selected based on their ability to prevent energy waste. The latest appliances, and fixtures for plumbing and electric offer a substantial savings by operating at highly efficient levels. Having a healthy home starts with good construction. The latest ventilation and air filtration systems are known to improve air quality while materials used for construction are designed to be non-toxic and sustainable. Cabinetry, carpet and paints now use fewer VOC (volatile organic compounds) to drastically reducing outgassing and allow everyone to breath easier. Modern construction uses materials that have been engineered for durability. Mechanical systems are more reliable and maintenance requirements have been simplified. There is a strong emotional connection to a home when you take part in its creation. It is a satisfying experience and the team at Lowell Management enjoys the process as much as their homeowners. Once you decide that you are ready for a change, we are happy to guide you in building a new home where you will live happily ever after. 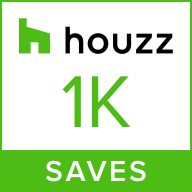 Lowell Custom Homes /wp-content/uploads/2018/02/lowell-custom-homes-logo-250.png Lowell Custom Homes2015-10-28 17:52:132018-08-29 11:40:31Should You Build? How to decide if building a new home is right for you. Should You Remodel? How to decide if remodeling is right for you. Like many of life’s decisions, this one can cause sleepless nights. The financial bottom line is as significant as your readiness for change. How do you make the decision to remodel instead of moving? Asking yourself a few key questions will help you evaluate your position and guide you in the right direction. Once you make the decision to remodel, join forces with a team like Lowell Management to create a fresh version of your home with experts who know how to make the process run smoothly. Are you in a beautiful location with friendly neighbors? Are you close to everyday conveniences? Would you love your home if it just had a little more space or updated appearance? Are the views from your home already stunning? Is your home sitting on a beautiful lot? Then why would you want to leave? Most homes can handle a renovation or addition. Remodeling will allow you to maintain your connections while adding considerable square footage. 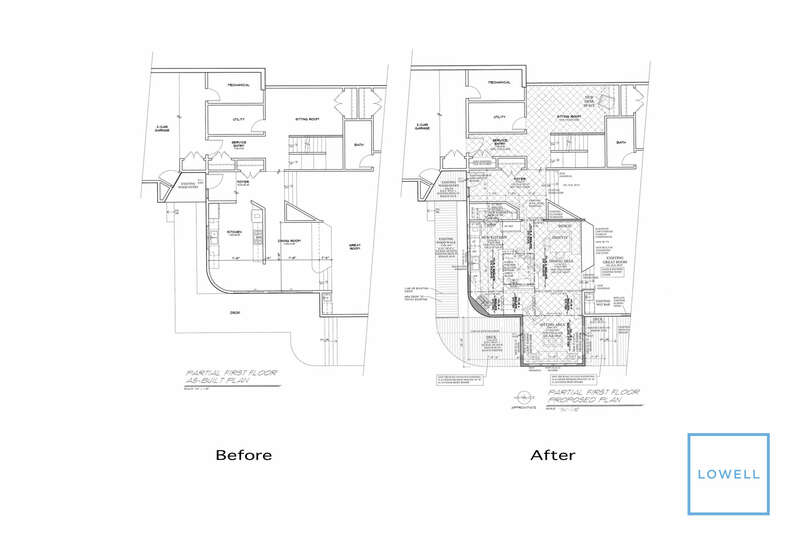 As a builder and remodeler we are familiar with zoning regulations and will help you create a new plan that satisfies all of your lifestyle needs. What about your home attracted you in the first place? Does your home have a special “feel”? Would it be impossible to recreate the atmosphere in another location? Distinctive architecture, vintage-building materials, and exclusive views cannot be recreated. When you love so much about your home, making adjustments that will increase or update your space is the right decision. Does your home have good bones? Are you sitting on a solid foundation? Can known issues be resolved easily? Not every home should be remodeled. It must have good bones. A professional opinion is needed for proper evaluation of your home’s condition. Adding space, reconfiguring your floor plan and updating plumbing and electrical is logical when you are sitting on a solid foundation. Does remodeling suit your budget? Would remodeling save you more than the expense of relocating and moving? Would updating windows, roof or mechanical systems increase energy efficiency? Of course you need a trusted professional to provide an accurate quote and detailed contract. Consider related costs that may be involved. Temporary living arrangements will often allow your contactor to complete your remodel more efficiently and furniture storage will protect your belongings. 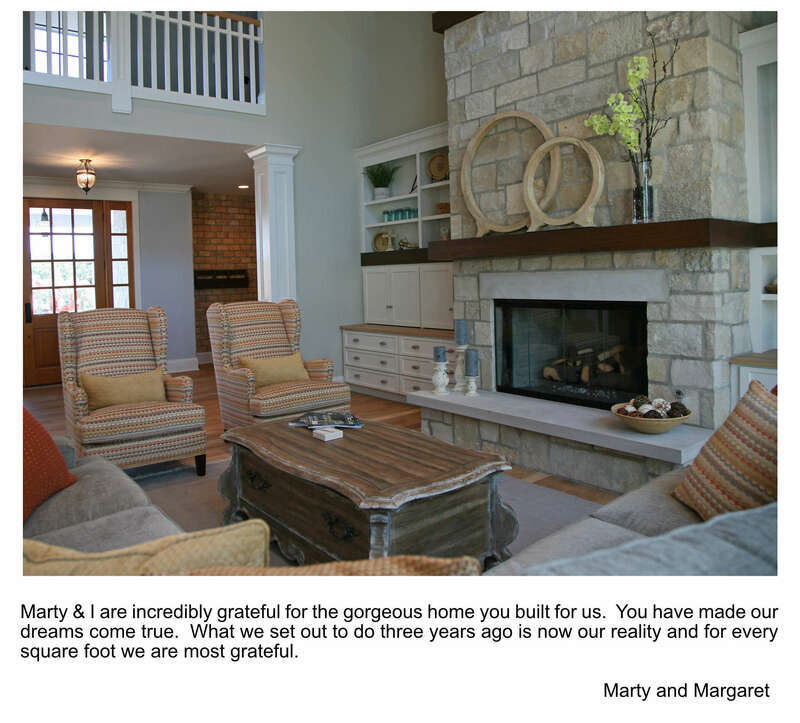 We are always happy to hear from our homeowners at the end of a project! Are you up for the experience? Do you have the patience to tolerate some inconvenience for a worthwhile outcome? Can you be flexible and adapt to change if construction uncovers any surprises? Do you have a builder that you can trust? Remodeling is an exciting undertaking and proper preparation will eliminate problems. Patience and versatility are good qualities that will make the entire process more enjoyable for you. As builders we routinely expect the unexpected and are always ready to adapt. We approach every project with the understanding that this is a new experience for most homeowners and we keep it as stress free as possible. There are countless options and decisions to consider throughout the remodeling process. Our best advice is to find a qualified professional like Lowell Management who is able to guide you through every major to detailed decision for a worry free experience. Lowell Custom Homes /wp-content/uploads/2018/02/lowell-custom-homes-logo-250.png Lowell Custom Homes2015-08-28 23:26:442018-08-29 11:40:32Should You Remodel? How to decide if remodeling is right for you. The process of remodeling or building your home is exciting, but can be stressful at times. Your best strategy is to educate yourself and select a builder with experience and a stellar reputation. The right builder will guide you through the process seamlessly and run interference before you are even aware of any problems. A great place to become familiar with the homebuilding process is the “Current Construction” section of our Portfolio where you will see our daily behind-the-scenes activities. Here you can follow along as stunning custom homes take shape from the ground up. Here to illustrate the earlier stages of building, is the stunning home featured in last month blog. Having a builder with the patience to walk you through the building process is essential to your peace of mind. Every design and construction detail must be worked out in advance. The design process can take six months or more depending on the style and amenities you choose. There will be multiple meetings between you, your builder, designer, and architect with everyone focused on creating your unique space. Some builders even have a complete team in-house for you. Creating a stress-free experience for his homeowners is the main reason Scott Lowell assembled his team of experts at Lowell Management. You can be certain that everyone is pulling together. Their goal is to listen to homeowners and say yes to as many requests as possible. Technical considerations such as elevation, slope, soil type, depth of soil, water table, etc. In addition to the expertise required to evaluate a lot you are considering, Lowell has secured a number of beautiful home sites in the most desirable areas of Lake Geneva. An experienced builder will guide you through all options and help you evaluate the cost/benefit of each. Do your best to include everything you want at the very beginning. Once construction is underway it may becomes difficult or costly to add to the plan. An experienced builder will be tuned into all possibilities during the planning stages. Keep an open mind and you are sure to benefit from a professionals experience. You want a builder with the ability to maintain ongoing open communication with you throughout the process. A contract detailing cost and possible contingencies will be agreed to by all parties along with a timeline compatible with the size and features of your home. You want a builder who understands what it takes to deliver your home on time and within budget. You will play a major role by making selections according to a timeline created to keep construction on schedule. Lowell maintains long term relationships with the most talented craftsmen and reliable suppliers who work together to avoid and efficiently resolve problems with the least amount of delay. You simply can not find the type of materials and finishes you see in dream homes at a big box home improvement store. Access to statement making material is a result of continuous research over time. Many exclusive sources will only work with the most reputable and established builders. Many specialty products take longer to receive, so professional planning and scheduling is vital to timely availability on site when needed. Supervision during the construction of you home is essential to quality. Building codes and architectural specifications are fundamental to your health, safety and welfare at home. The permit process and scheduled inspections are calculated into your timeline. A professional builder respects the codes and will oversee every aspect of construction to make certain your well-being and investment are protected. The perfect partner for your building or remodeling will have your best interests at heart. You want to select a builder who develops lasting relationships with customers. Reading what our customers say is a valuable lesson in the importance of trust and confidence. We wish you the best as you explore your options for building a new home or remodeling your space. Your questions and inquiries are always welcome, please let us know if there is any way we can help.